Working a 9-5 means that a lot of my clothes and outfits have to be office appropriate. Now I'd be the first one to admit that I wander above and below that line when the mood strikes me, but this particular look surprised me by feeling right for work and life. 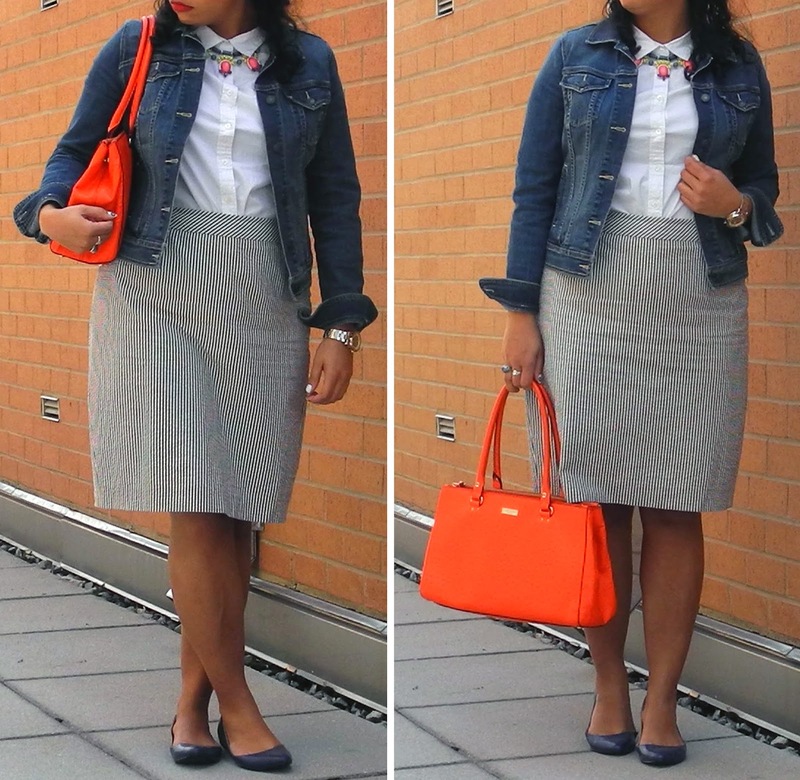 The jean jacket dresses down the pencil skirt, which being seersucker is already a bit different than my typical choices, plus the flats and purse means I could get around in comfort and style. Yay! I like this look on you and yes it will work after five with those heels you have in your car trunk. Enjoy!